Last week, AusIndustry released version 5 of the R&D activities form. The application now requires more information from the Applicant regarding the nature of core and supporting activities alongside additional administrative information. Whilst the new requirements will require more time and input to complete, Swanson Reed views the changes as positive since Applicants must explicitly assert how their activities are eligible under the legislation. Swanson Reed recommends that all applicants spend sufficient time addressing the requirements of the expanded application to ensure their activities are self-assessed appropriately. Applicants are now required to describe the new knowledge intended to be produced by the core activities and how it differs from current knowledge in the relevant field of study. Whilst this requirement is not new to the legislation, it had previously been general practice to provide details of new knowledge on a project basis. The new form now provides more guidance on information required about registered core and supporting R&D activities. ii). brief details of the experiments/testing carried out, results and conclusion. Each registered supporting activity should include a more detailed explanation of how it contributes to the corresponding core activity. Disclosure of Tax Agent Details if a Consultant is engaged to provide advice on the eligibility of Activities and Expenditure. 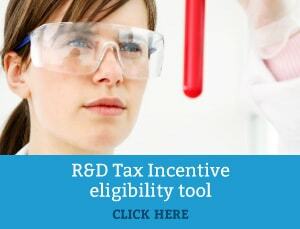 As with all parts of the R&D tax claim process, substantiation of the new sections will be important. Please contact your local Swanson Reed contact if you would like to learn more.